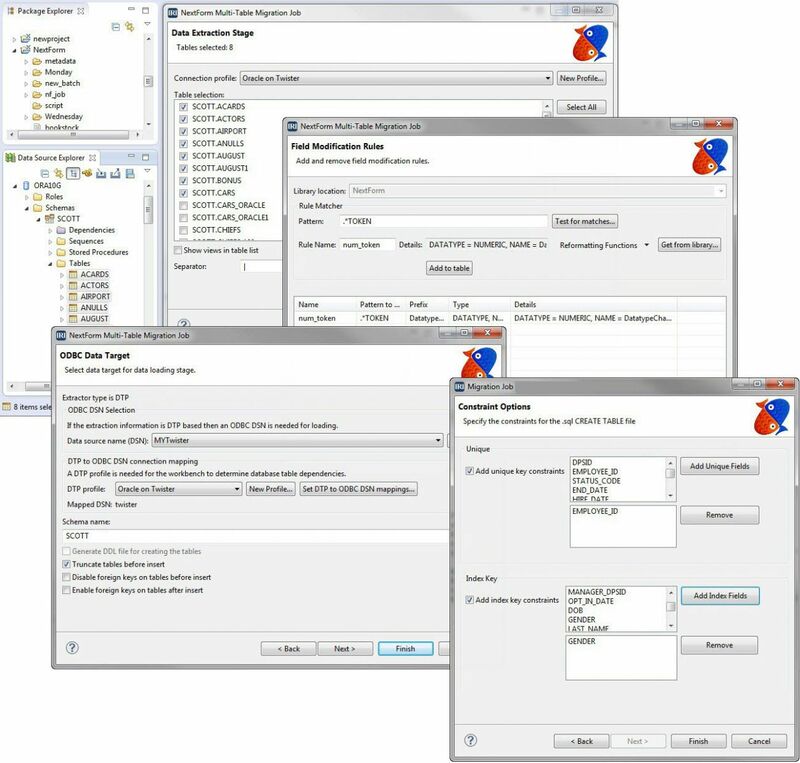 IRI NextForm users migrating between database versions or vendors use the "NextForm Multi-Table Migration" job wizard in the IRI Workbench, Built on Eclipse™. Connect to the source tables and define mapping rules to apply across related columns. Automatically create and specify the structure and relationships of your new tables. Populate the tables with ODBC in the wizard, or on your own via JDBC or DB load utilities, also supported in the GUI. All necessary job scripts for data acquisition, manipulation, and mapping to targets are produced automatically. Modify them by hand in the GUI or any text editor. Use IRI CoSort to easily add data transformation, masking, and reporting functions into the process. Remember, NextForm runs in the same GUI, and its job scripts use the same metadata as other IRI tools, so enhancing these operations is seamless.